The Netto store in my old hometown of Tamworth is one of 16 sites that Morrisons is set to acquire following Asda’s purchase of the Netto UK business. The stores are among 47 that the Office of Fair Trading (OFT) has required Asda to sell to competitors, to avoid a lessening of consumer choice in those areas where Asda and Netto currently compete with one another. With Asda already having a vast store at the nearby Ventura Retail Park, it was always likely that Tamworth’s Netto would be one of those that it would have to dispose of. However, with Sainsbury’s, Aldi, M&S, Iceland, Farmfoods and Tamworth Co-op also all currently represented in either the town centre or at Ventura, there was a fairly limited pool of potential purchasers. Morrisons already has a Tamworth superstore in Marlborough Way, Wilnecote – a couple of miles from the centre of town – but its purchase of the Netto site should give a boost to the town centre’s retail offer by providing a much wider range of goods than Netto currently offers. The purchase by Morrisons is the latest development in a fairly turbulent history for the Upper Gungate supermarket site, which was originally built as a Kwik Save in the 1990s. 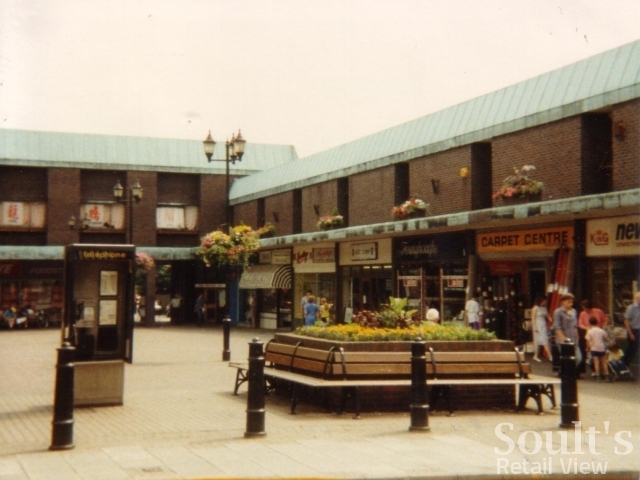 For a time, it was open concurrently with the previous, smaller Kwik Save in the Gungate Precinct – a unit that had housed Tesco and Victor Value back in the ’70s and ’80s. However, that Kwik Save store eventually closed, and was occupied by Pound Plus until the precinct’s demolition last year. Following Somerfield’s disastrous 1998 purchase of Kwik Save, the Upper Gungate Kwik Save briefly became a Somerfield, before being turned back into a Kwik Save again. The store then closed down following Kwik Save’s collapse in 2007, standing empty for a year before being reopened as a Netto in August 2008. Assuming that Asda’s acquisition of Netto receives final approval by the OFT, the handover of Morrisons’ stores is expected to commence on a phased basis in March, with conversion to the Morrisons format taking three months. On this basis, Morrisons should be trading from the site sometime in summer 2011. Given Morrisons’ retail pedigree, there’s every chance that the store’s latest incarnation will be more long-lived than its increasingly fleeting predecessors. Great news for Tamworth, but where are the other Netto / Morrisons stores going to be opening. Hi Keith, you need to read my subsequent blog at http://www.soultsretailview.co.uk/2011/01/13/asdas-sale-of-surplus-netto-stores-who-gets-what-in-the-north-east/ – they’re all listed there!